That awkward moment in online dating when you write to me in Spanish and assume it doesn’t matter. If you’re cute, of course it doesn’t matter! 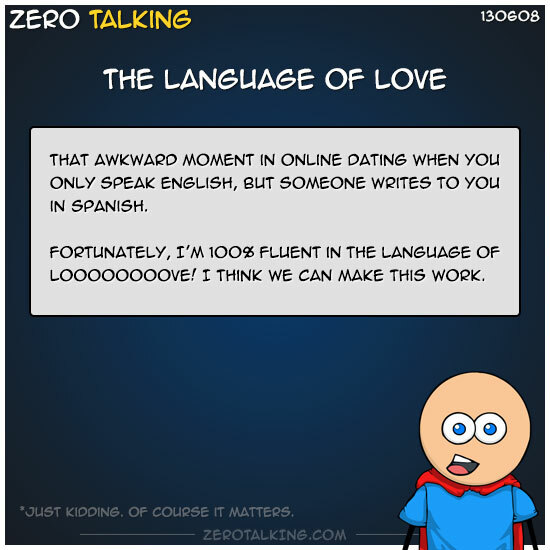 I am fluent in the language of loooooooove! But seriously, just kidding. — It is important that you speak English so you can laugh at all my jokes. Also, keep in mind, if you have an accent (which I don’t mind at all — in fact, it’s kind of attractive), I have this habit of adopting the accent of whoever I’m talking to.